← Elixir and Kickstarter – a great combo! Memorial Day Weekend is typically the busiest event weekend of the year for us at Elixir and 2014 was no exception. We were honored to be shooting two weddings as well as producing a hilarious “Family Feud” parody for a another couple’s rehearsal dinner. Brett & Emily’s beautiful wedding at the Ritz Carlton in uptown was such a nice mixture of great families, fun-loving friends and amazing decor! We also shot their rehearsal dinner the night before at Eddie Deens BBQ downtown. Rachel & David’s memorable wedding took place at the Sheraton Hotel in downtown Dallas and their love for one another was so apparent throughout the day! 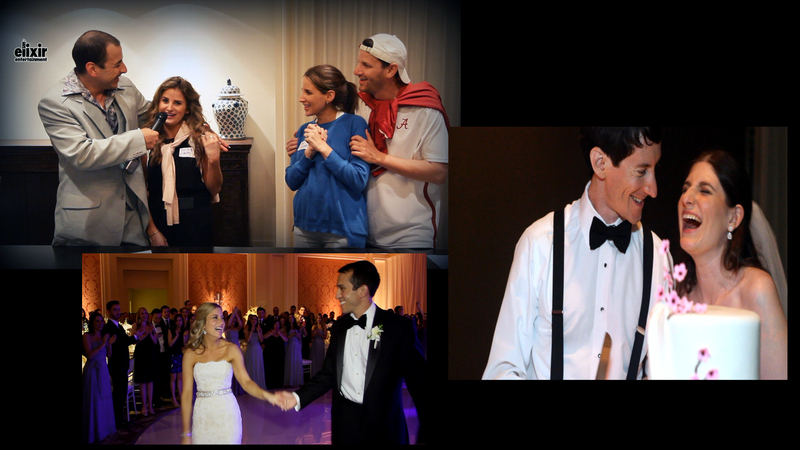 We filmed some great dancing and touching speeches that will be edited into their video in the coming weeks. Stay tuned for highlights from both weddings on our Elixir Vimeo and Facebook pages. This entry was posted in dallas wedding video and tagged dallas wedding video, jewish wedding dallas, rehearsal dinner video. Bookmark the permalink.